ETP-CLASSIC is used in a large variety of applications, for mounting timing belt pulleys, cam curves and arms etc. Positioning along and around the shaft is easy and fast with high precision. Service and maintenance are also easier because of the easy dismantling. ETP-CLASSIC is recommended for all normal needs. 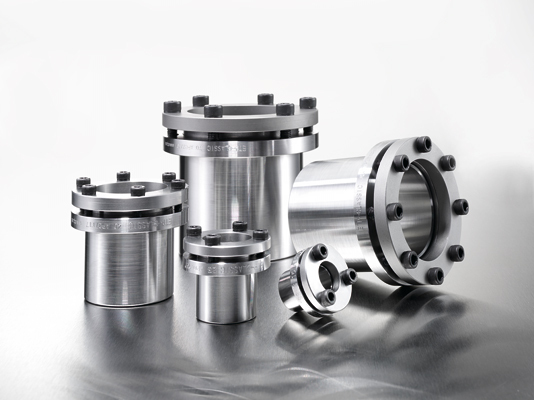 ETP-CLASSIC consists of a double-walled hardened steel sleeve filled with a specially adopted pressure medium, sealing ring, piston, pressure flange and clamping screws. 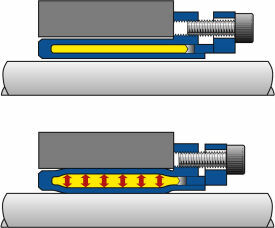 Small built-in dimensions and a reasonable surface pressure means small outside diameter for the hub. Good concentricity also after several mountings. ETP-CLASSIC has cap head screws but screws with hex head are available as accessories. Positioning along and around the shaft is easy and fast with ETP-CLASSIC. The hydraulic centering ensures a high runout precision!